Please do not use information from this source in editing other articles until June 29th, 2019. 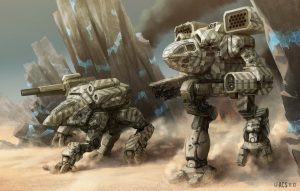 As it has been recently published, this source falls under the purview of BattleTechWiki's moratorium on newly-published materials. Turning Points: Tokasha (shorted as TP:Tokasha) is part of the Turning Points series, which is the sixth release of a PDF web exclusive product produced by Catalyst Game Labs set in the Succession Wars Era. The product uses the Chaos Campaign rules and provides a campaign setting for players to fight the Battle of Tokasha, featuring the Clan Hell's Horses whom was protecting their newly built Mech Factory in Trial of Possession against Clan Ghost Bear. This is the historical event which would trigger centuries of disputes between the two Clans. “ As the Golden Century drew to a close, Clan Hell’s Horses christened a massive new OmniMech factory on Tokasha as the foundation of a new age of prosperity. Instead, it lured Clan Ghost Bear, which sought to claim the factory for themselves. In the steaming jungles of Tokasha, two massive, unyielding forces took part in a brutal Trial of Possession, as two visionary Khans sought to establish their Clan’s path for the century to come. Turning Points: Tokasha uses Chaos Campaign rules to give players the option of fighting individual battles, following a campaign arc, or inserting Chancellor Ilsa Liao’s campaign for Orbisonia into their own campaigns. Included are a detailed map of the world of Tokasha, full details of the forces involved in the invasion, and scenario tracks that players can use to recreate the battles on Tokasha. The only limits are the players’ imagination! 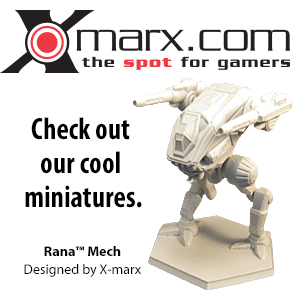 Introduced in this product are number of variants & original BattleMechs, Early OmniMechs, and OmniFighters. Unlike other sourcebooks, Turning Points: Tokasha lacks an explicit table of contents. The list shown here was assembled from page headings. This page was last edited on 11 April 2019, at 11:16.